On Page SEO is referred to as all the aspect of organic search marketing that occur on the actual website for which you are trying to increase the organic search visibility. There are many different on-page SEO factors including more technical seo factors and content-related factors. The purpose of this post is to give a high level overview of what sort of things to pay attention to when you are optimizing elements of a website and page. Based on this post we will be developing in depth lessons on each of the parts of on-page optimization with practical examples from our case study websites aimed at teaching you how to execute these tactics for both your own websites and for client websites. If you expect to have a high visibility in organic search you need to have high quality unique content. This means content that is unique to the website (no stealing other people’s content) and unique to the page (no copy and pasting content between pages on your website). Having poor quality or stolen content does not only risk the page that it sits on, it risks the visibility of your entire website. This is because of the “Panda Penalty” which is a site-wide penalty that impacts sites with low content quality scores. 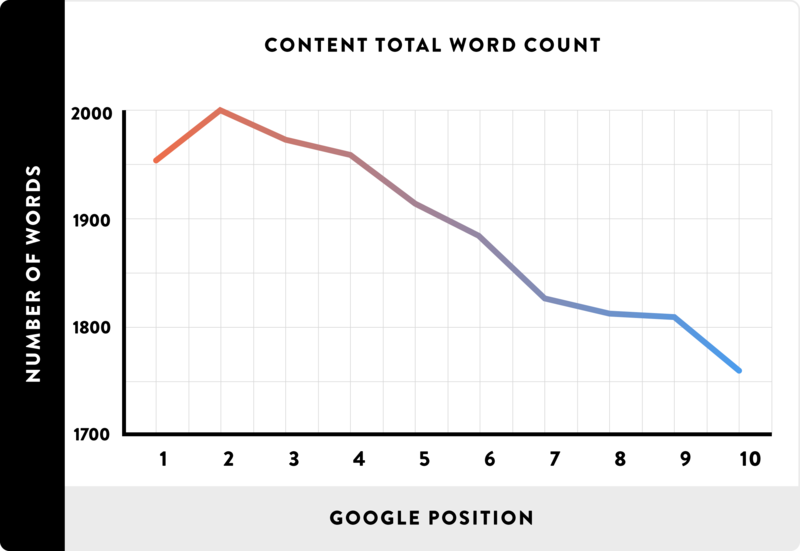 According to this study, the average word count of the first page of Google is over 1980 words. Aim for 1000 words but strive for 2000. I think this is a common length for a well thought out post or page on a website. Sure, there are reasons why your content will be lower than this, however, the more content you can add (naturally) the better. There is a correlation between domain authority and number of indexed pages. In addition to this having more pages and content indexed in Google means more opportunity for people to find you through additional long-tail keywords. Publishing topical content that is relevant to your overall website’s theme while including relevant internal links is a great way to increase overall visibility and specific rankings of posts and pages. This is one of the most important aspects of on-page SEO. The page title is what typically shows up as the main title in the search engine results page for your particular result, it is also the title in the browser window when a user is on your page. Having a well-optimized page title will help Google and other search engines figure out what your page is about. It is one of the first things a search engine crawler reads to determine relevancy when crawling a website. While the page titles shouldn’t be over-optimized, having a primary keyword and/or relevant keywords in the page title is important. The meta description of a website is typically what gets shown as the snippet in the search engine results page when a user searches a particular query. While this is not specifically a ranking factor in itself, it does add a level of relevant to a page and helps increase click throughs from the search engines. Optimizing meta descriptions include both making them more relevant (including keywords and/or variations) and making them more action-oriented. Adding text that encourages clicks (such as “click here”, “click to view”, “save x% here”) are great way to help increase click through to your website. Since user-metrics such as click through and bounce rate are overall ranking factors the meta description is a very important piece of content to optimize. These are out dated and shouldn’t be used. Please, if you’re still using and stuffing keywords into the meta keyword tag, please stop. Depending on your content management system there are likely plugins or tools available to extend the functionality and let you easily manage the meta data on the post, page, and category-level. My personal favourite is the Yoast WordPress SEO plugin. It’s what I use in any WordPress install. 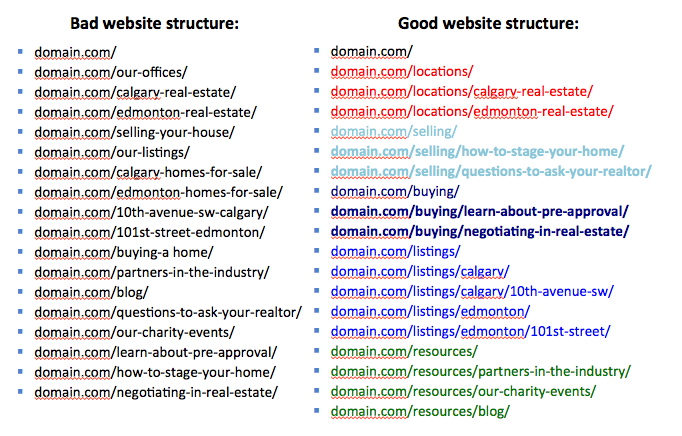 Content of posts and pages should be formatted and structured using the header html tags. These include the H1, H2, H2, H4, etc. tags that stand for header one, header two, header three, header four, etc. Using these tags you will be able to section off content within a single page into multiple thoughts or sections. You can scroll up and down on this page and likely be able to identify the sections. As a rule of thumb, there should only be one H1 tag. But you can use multiple instances of the others. The H1 tag should introduce all of the content of the page similar to the actual page title. 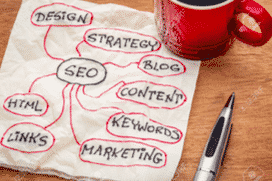 In the case of this post, the title “On Page SEO: An Overview of On Site SEO Factors” is the H1 tag, “Content” is the H2, and “Only unique content on your website” is an example of an H3 tag. Rich media is often referred to as media that extends beyond just text. Images, videos, and audio files are examples of rich media. Images need to be properly optimized to add relevancy to the picture. Since Google cannot determine what a photo is about (like it can a block of text) then you need to give it some context by using the file name, “alt” tag and “title” tag. The alt and title tags are descriptive tags that tell search engines what the image is about. The file name also gives a layer of relevance in describing what the image is about. It’s important not to over-optimize these tags. Don’t simply stuff the keyword in the alt and title tags of every images, and likewise, each image should have a uniquely written alt and title tag. One of the best ways to increase relevance of a page towards a particular topic is to embed a YouTube video about that topic. While I understand that not everyone will want to randomly embed a YouTube video, it is a great way to increase visibility of the page. Creating your own video specific for each major landing page is also a great strategy. Consider the two following URL structures. Having a well-optimized URL structure with proper internal linking is one of the best ways to section of relevant keywords and is completely necessary if you want to rank for high competition head keywords. The parent page can target a high competition and volume keyword and you can create relevant content about that topic on posts that reside within that “silo”. Page speed is important. 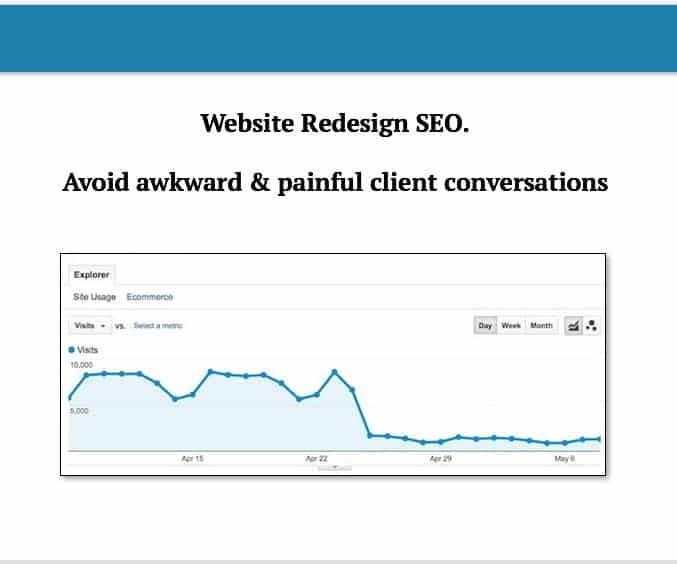 It influences user metrics such as bounce rate which are ranking factors. Optimizing your website for page speed can get quite technical and we will create a specific guide on optimizing your WordPress website for page speed in the future. This will give you an idea of how well or poorly your website performs currently and some direction on what needs to be done to improve. Loading the content of the website before any performance-limiting scripts. Schema is one of those things that simply hasn’t caught on yet. While there isn’t a lot of data that supports it being a direct ranking factor, there is a lot of benefit (in some cases) to using proper schema mark-up. Two cases that come to mind are local businesses and recipes websites. You can read more about schema mark-up and how to get it setup on over on schema.org. You can check the mark-up here. If you’ve gone through all the trouble of adding proper markup to your pages and posts be sure to double check that it has been completed properly.  Whether you’re just starting your on-page SEO or have just completed implemented the changes, be sure to have your website audited so that you know exactly what needs to be done or that you’ve completed everything properly.